Issa Murad was born and spent his formative years in Bethlehem. He was introduced to music at an early age, thanks to music-loving parents. He was raised to the tunes of classical Arabic mucic, the famous singers of Egypt and its major oud players, as well as those of Iraq and the Levant. At the age of 18, he joined the Edward Said National Conservatory of Palestine, specializing in oud, oriental music and Arabic singing. 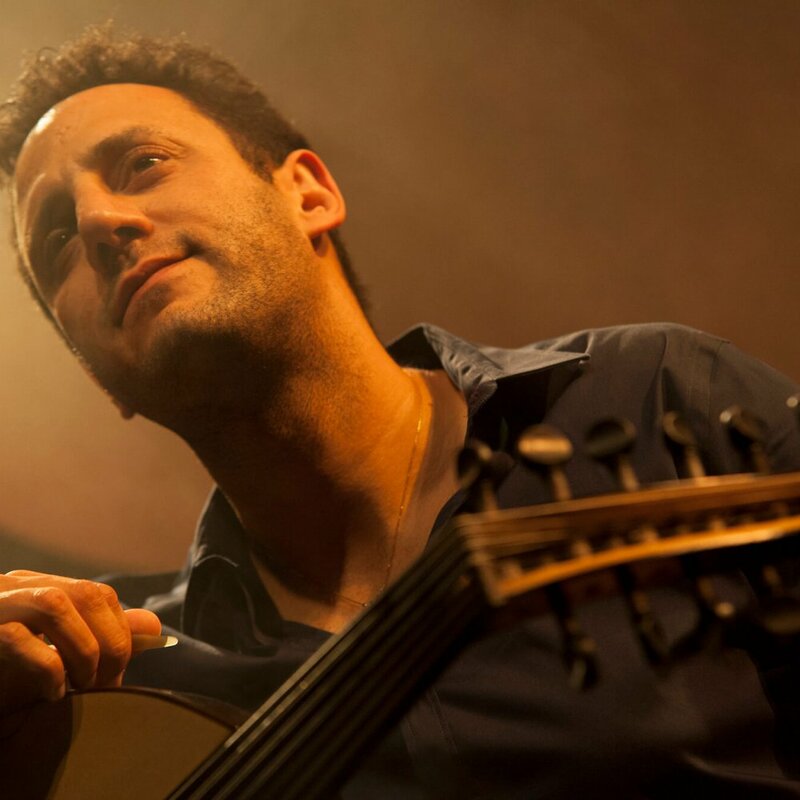 In 2001, he scooped the Marcel Khalife award for best oud player in Palestine. Upon his graduation from the National Conservatory in 2007, Issa Murad moved to Cairo where he studied at Bait Al-Oud (the Arab Oud House) further perfecting his instrumental skills. He moved to France a year later, and furthered his academic study of music by earning a Master’s degree in Musicology, with a specialization in Ethnomusicology from the Sorbonne University, Paris IV. Besides his music practice, Issa Murad has also been teaching music since 2005, having offered courses and masterclasses in France, Palestine and Egypt, where he has taught at the American University. In 2017, Issa Murad went on a tour in India where he participated in the prestigious World Sacred Spirit Festival, gave concerts and delivered a series of masterclasses in Rajasthan, Bangalore and New Delhi. Issa Murad’s main musical project, called Joussour (meaning ‘bridges’), is the reflexion of the composer’s journey through cultures and an expression of his perception of the world’s diversity. Influenced by his musical discoveries, Joussour is also enriched by the exceptional energy of his fellow musicians, who share his passion for improvisation and represent the stones of this mobile bridge that allows travelers to go from one shore to another, from jazz to Balkan and Arabic to Indian music, always with the oud as a conducting thread. Released in October 2016, the Joussour album has been selected by many of the main stores (FNAC in France, Virgin Megastores in Egypt and Lebanon) as one of the best albums in its category. “As this uncommon title confirms, there’s a world of illuminating improvisation out there, awaiting those who seek a different kind of different” – Michael Stone, RootsWorld.